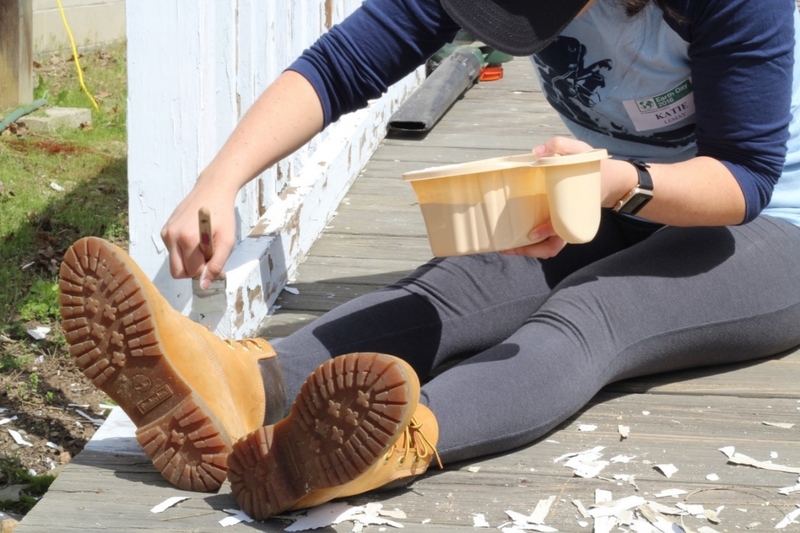 Over 300 employees from Timberland’s global headquarters in Stratham, NH recently pulled on their boots for a day of volunteer service to celebrate Timberlands’ 20th annual Earth Day service event. The outdoor lifestyle brand closed its corporate office on May 10 to encourage employees to serve at one of six local projects designed to meet community needs while helping to green and grow the community. The projects addressed food insecurity, homelessness, addiction/recovery, and veteran’s affairs -- the four issues employees indicated they most wanted to address through their service. Benefitting organizations included: Families in Transition; Girl Scouts-Camp Seawood; Habitat for Humanity-Southeast NH; New Franklin School; and New Generation. 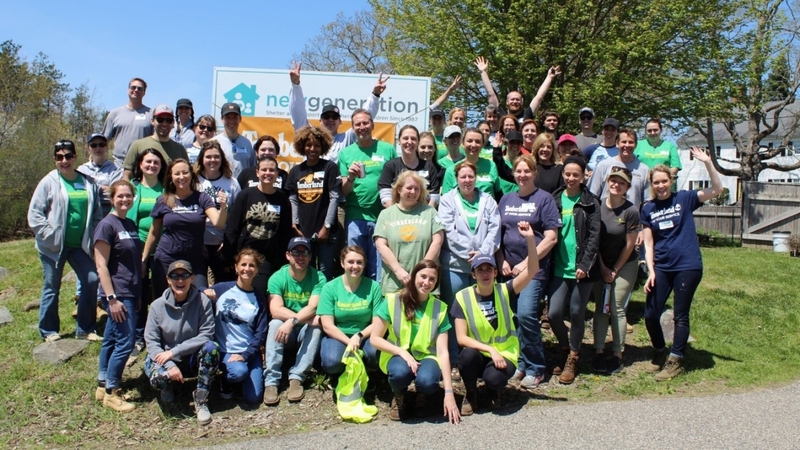 Each project was led by a Timberland employee who volunteered to work with the non-profit partners in advance of Earth Day to plan and develop the project. At Camp Seawood, employees refurbished cabins, the archery range and picnic tables. The volunteers also built 20 Leopold benches and expanded nature trails around the 38-acre property. 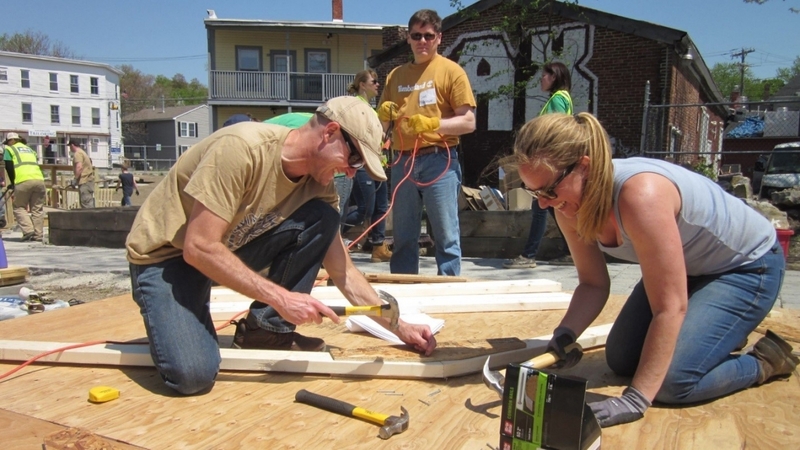 At the Habitat for Humanity build, employees had the opportunity to work alongside the future recipient of the home to construct three decks, insulate and drywall the house, and spread over 70 yards of loam for the future lawn. 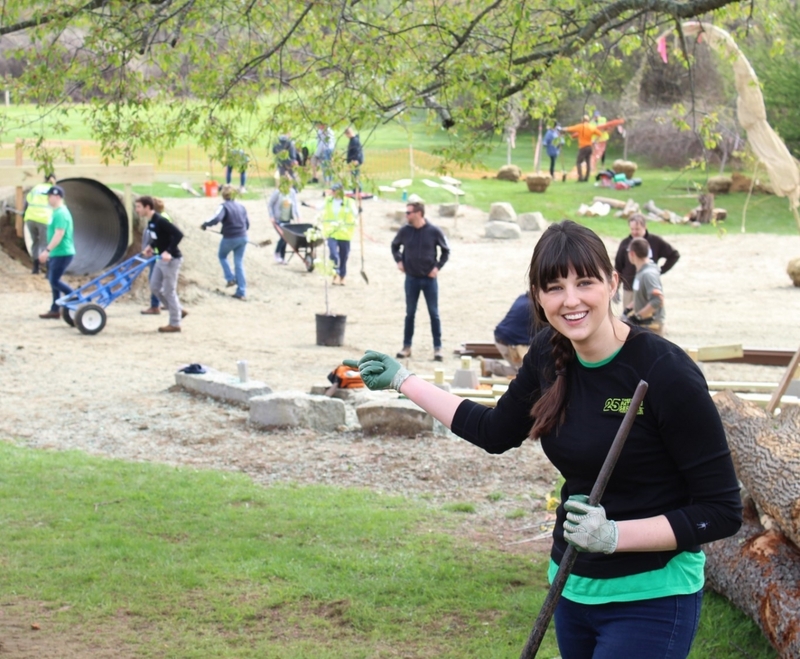 Volunteers constructed an outdoor teaching space, organic apple orchard, garden beds and play mounds at nearby New Franklin School, where teachers and students will be able to host lessons and be inspired by nature. 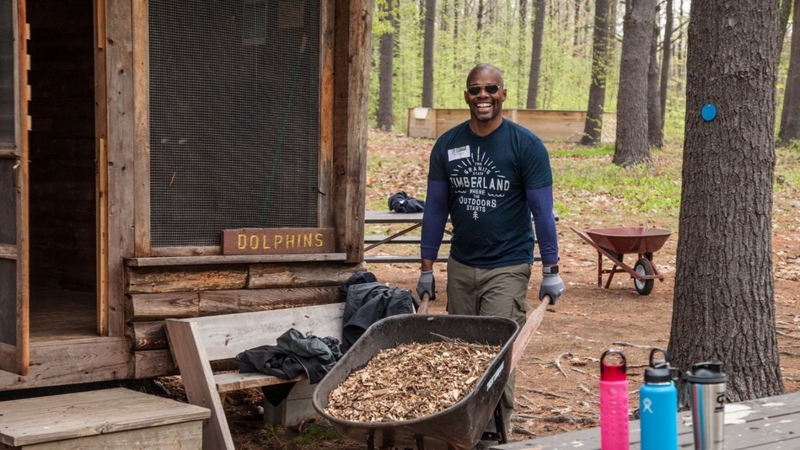 Since 1992, Timberland has offered employees up to 40 paid hours each year to serve in the community, through the brand’s Path of Service™ program. While employees are encouraged to use their service hours in ways that speak to their own passions, the Stratham HQ closes its doors for the day twice each year to allow employees to the opportunity to serve as a team.